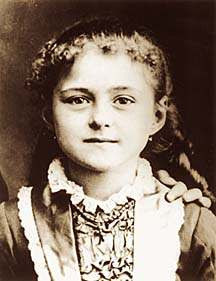 The feast day of St. Thérèse is coming up! Her feast is celebrated on the 1st of October (and on the 3rd of October on the Traditional Calendar). The novena for her intercession can be said anytime, but especially on the 9 days prior and ending on the eve of the Feast (Sept 30th or Oct 2nd). Thank you so much for putting this series of posts up -- I'm not one to think of novenas, but this one is especially apt. My sister will be undergoing radical surgery for breast cancer on the feast of St. Therese...so you know what my intention is! Your prayers for my sister will be greatly appreciated, as well. Oh Eileen! I will definitely be praying for your sister. God Bless!